Many people think that drive-ins are a thing of the past. 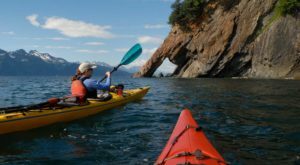 In Alaska, however, there is one gem of a place still going strong! 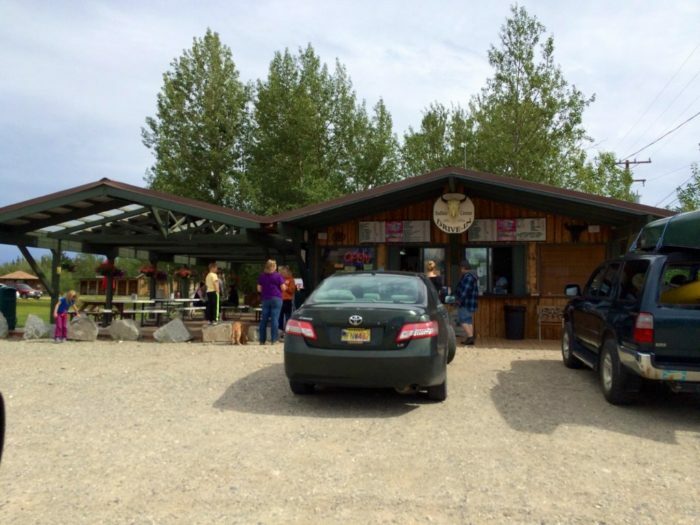 This cute little establishment serves up some of the best food in the Interior, and they’ll bring it right to your car! 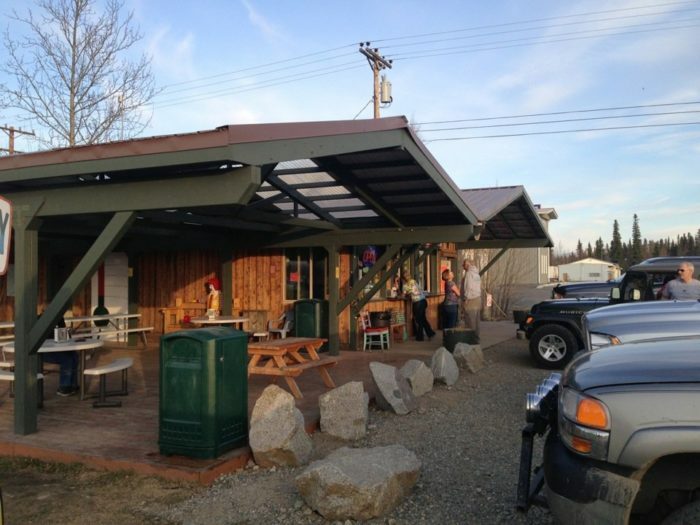 For many of us, it's been quite awhile since the last time we've visited a drive in restaurant! Many drive in theaters and restaurants aren't experiencing the popularity of former years. But we know of one fabulous one with incredible food that will knock your socks off! 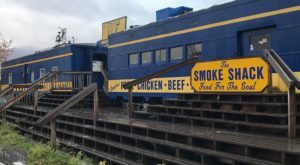 This delicious establishment is located in Delta Junction, Alaska. 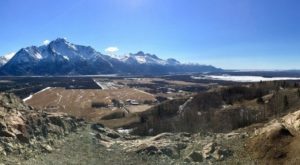 It's an easy stopover if you're on your way to Fairbanks on the Richardson Highway. With plenty of parking spaces out front, the waitresses make it easy for you to drive right up and be served! You also have the option to go up to the window to order, as well. Sometimes there can be enough customers that it's faster that way. Or perhaps you've spent too long in the car, and you'd like to order and then eat outside at one of their many picnic tables! 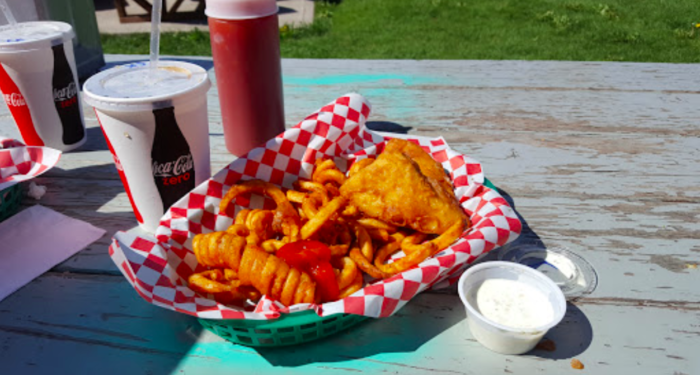 They have an expansive menu, with everything from burgers, to fried seafood, to house made curly fries. Their most famous options include buffalo meat, hence their name! The buffalo burger gets rave reviews every time someone orders it. They also offer Alaskan Yak meat options, which customers love to try! After having Yak it's hard to go back to regular hamburger. Customers can't get over how juicy the buffalo burger is, and most people pair it with the crunchy curly fries. All the burgers are large and tender, with plenty of toppings for you to enjoy. Another big winner in the reviews is the hand-pounded chicken strips basket. 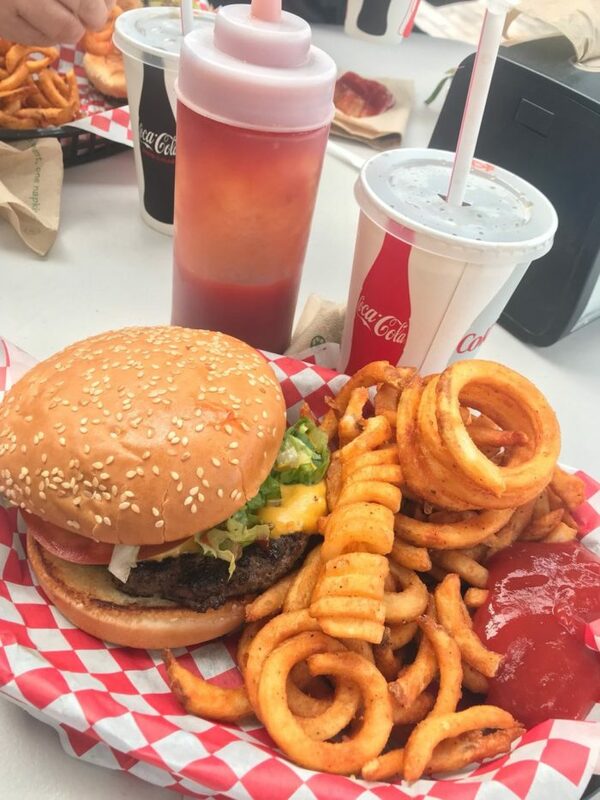 No matter what you order, the waiters are happy to deliver it to you, whether you're in your car or enjoying a seat on a picnic table. In fact, people rave about the service almost as much as the food! The service is kind, friendly, and prompt! 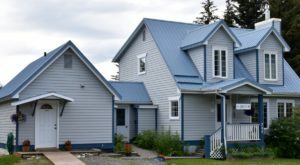 The size and quality of the food, as well as the affordable pricing for Interior Alaska, makes many customers repeat fans. 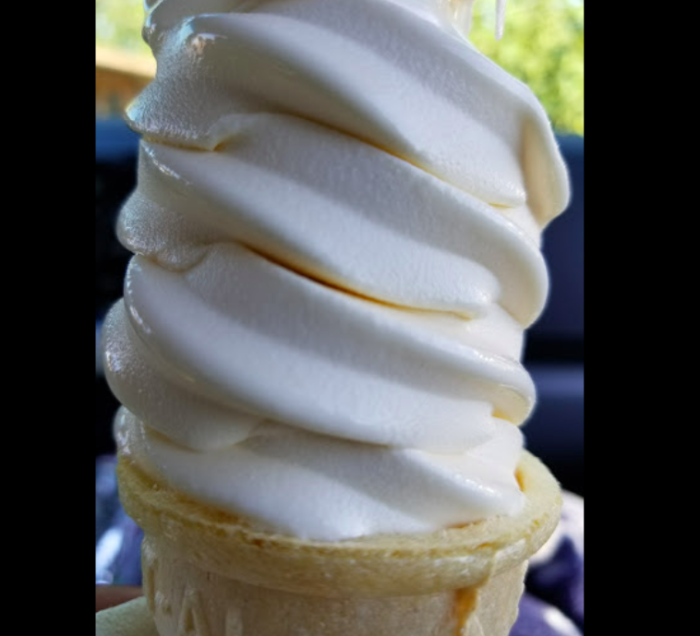 They also offer on their menu tasty soft serve ice cream. This is perfect for a hot summer's day! They even have traditional desserts like the banana splits, and milkshakes! 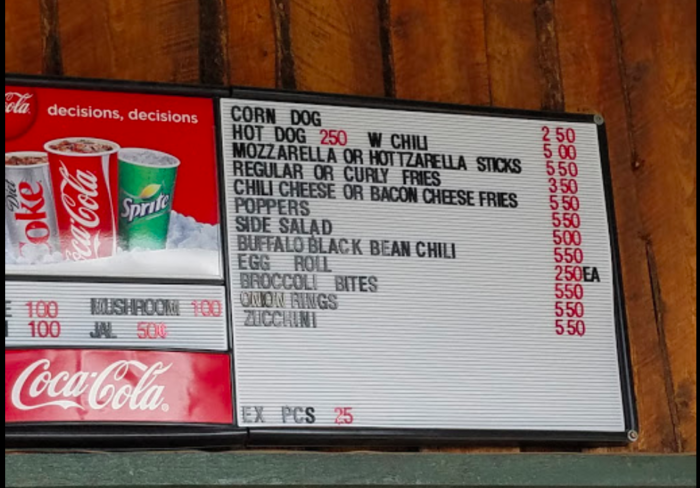 An important thing to remember when visiting Buffalo Center Drive In is that they only accept cash! 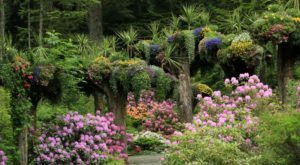 They are also only open during the summer months, which is expected as a drive in during the winter months could be tricky. Their hours are long during the summer, so make sure to drop in from 11:00 a.m. to 10:00 p.m., seven days a week. 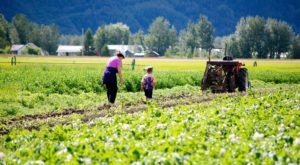 You can visit them at Mile 265.5 Richardson Hwy., Delta Junction, Alaska. 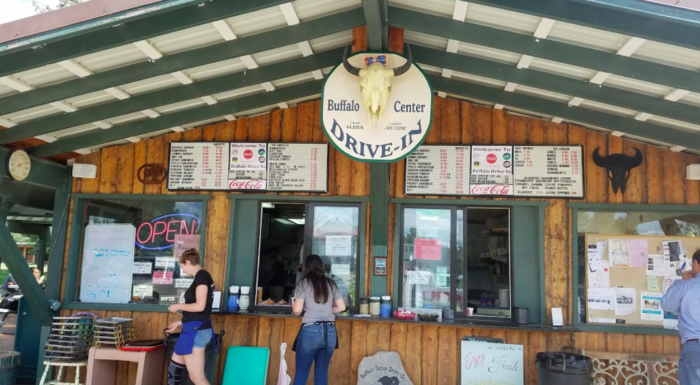 Have you had a chance to check out the Buffalo Center Drive In? What was your favorite dish? Let us know in the comments below! 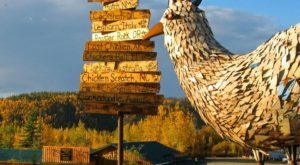 While you’re in Delta Junction, You’ll Want To Spend Time At The Most Enchanting Alaskan Roadhouse Ever! 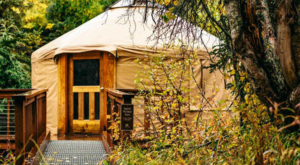 Check out that link to find the most incredible accommodations in the area!